- Dewatering/Sludge Management Systems- Belt Press Filters. - Size: 5.4 m dia x 8.5 met ht for vag filters, up to 22 kg / Cm2 for pressure filters, up to 6M3 for agitated nutsche filters. Ww are well established company to provide Vacuum Belt Filter to our esteemed client at very competative rates. 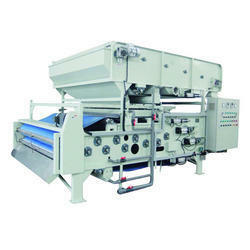 Belt Filter Press: The belt filter press supplied by enviropol is an innovative design. Filtration process takes place primarily in two stages namely pre-thickener and sludge press. Finally the sludge cake passes between the perforated cylinders for dewatering. It is available in various models with complete automation. Belt Filter Press in Coimbatore, Salem, Trichy, Chennai, Pune, Hyderabad, Bangalore, Tamilnadu, India. Flow rate: 1 to 430 M3/ hr. The Teknofanghi AISI304 Belt filter press is a new patented design. 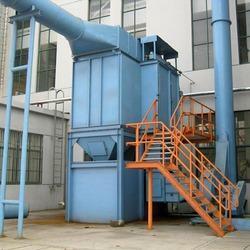 This system is composed of two units: the pre-thickener, and the sludge press. Belt filter press, first pre thickens the sludge than dewaters it up to 18-30%. used in municipal sewage & industrial effluent plants, paper, food, chemical & stone industry, recycling of plastics & ceramic glass.